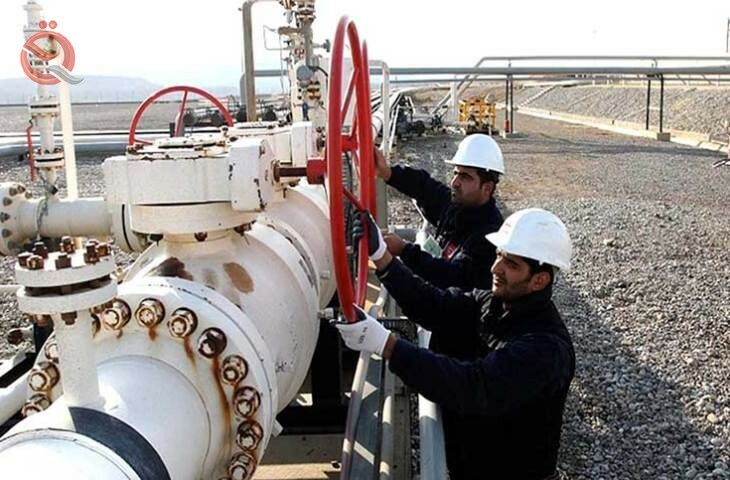 The Ministry of Oil said that it is working seriously to accelerate the implementation of projects to extend the pipelines of crude from Kirkuk to Ceyhan, Rumaila towards Aqaba and link the northern transport networks to the south to acquire the flexibility of transport and export, while expressed willingness to amend the law of the National Oil Company in the event of being returned to the government. The Deputy Prime Minister for Energy and Minister of Oil, Engineer Thamer Ghadhban said in an interview with the newspaper "Sabah" official and briefed by "Economy News", that his ministry has prepared a plan to diversify export outlets of crude, as working seriously and on a daily basis to prepare plans and programs on the export of oil from fields Rumaila towards the port of Aqaba, and accelerate the establishment of alternative pipeline for the export of oil towards the Turkish port of Ceyhan, starting from Kirkuk, in addition to linking the internal network of the north to the south. He added that the establishment of these projects will allow Iraq the ability to maneuver and flexibility in the transfer and export of oil for strategic and economic reasons, and in the event of an emergency or stop or shrink in a certain port, revealing the existence of other outlets to ensure the stability of the export system and the rates of crude production and associated gas. He pointed out that his ministry is currently waiting for the decision of the federal court on the law of the Federal National Oil Company, and that the House of Representatives saw his withdrawal and referred to the government to be based on the opinion of the federal government and in particular the Ministry of Oil and expressed his ministry's willingness to work on it and reformulate it or amend it in a new format, The establishment or formation of the Iraqi National Oil Company, as it will be a technical institution specialized in operation and away from politics and quotas and with the current companies that have branches or owned by them as provided by law. He pointed out that his ministry should set out to formulate policies and plans, develop strategies and work to legislate the laws regulating its activity, oil and gas investments and dealing with wealth (hydrocarbons) , In addition to the representation of the country with international organizations and the introduction of specifications and modern technology and development of staff and work to be Iraq is limited to hydrocarbon products and diversification of sources of income.